Located on Vancouver Island, British Columbia on the beach with a long history of providing quality accommodation. The Buena Vista - By the Sea provides a seaside resort vacation, including; fishing, kayaking, golf, and hiking. The motel resort has its own private walk onto the beach. It has personally appointed self-contained one and two bedroom suites with full kitchen facilities, which are available all year long on Vancouver Island. All of our rooms have a full kitchen and a beautiful ocean view. Our suites all have undergone extensive renovation. In the upper suites you can sit on your private balcony overlooking the ocean and enjoy the cool sea breezes as you watch the cruise ships pass. The lower suites are walk on waterfront with sliding patio doors opening to our manicured lawn. You have your choice of bachelor, one bedroom or two bedroom suites. Every room has cable TV should you get tired of watching the wildlife on the beach or the spectacular sunsets. 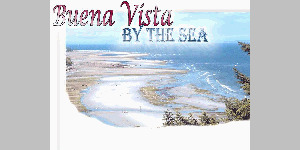 Please visit Buena Vista By The Sea Website.